Just Three Words, "Love The Product!" B. The Product wants to give a big shout out to Judith Marcus from NYC for this five star review on our highly popular, highly effective, hair thickening and volumizing root spray. 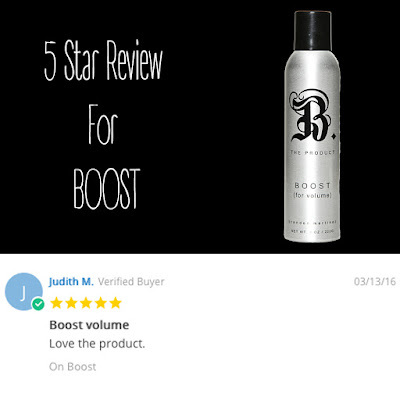 Purchase the 8oz Boost and receive the 2oz Boost free! 2oz Boost value-$15.50, now free with 8oz Boost purchase.